Ink could be used on all kinds of domestic and imported offset press.For our sublimation ink,because it belongs to gas shading,so if use our ink,first print image on paper,second put the paper on fabric,and then press the paper with transfer machine. Under the temperature about 190°C-220°C, the ink on paper will become gas and go into fabric. So the image will be from paper to fabric. 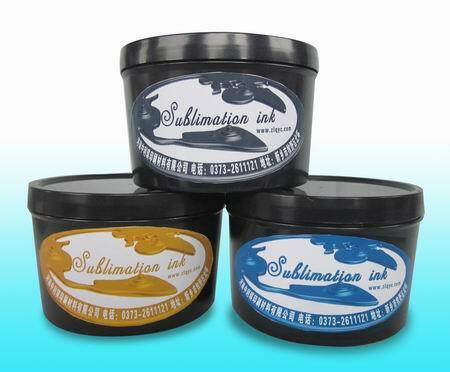 The offset sublimation ink made in our company owns good fluency,high rate of metastasis and bright color stability.Our ink passed SGS testing and reached the international quality certification.The quality is good and printing precision is high,vivid color,fine design,rich color,and strong color fastness. 1.Use Scope:Applicable to single-color,two-color and multi-color offset printing machine which supply single paper once. (2).Under normal circumstances to maintain the printing press ink fountain 36 hours not conjunctiva. 5.Use Method: under normal printing conditions, directly on the machine to use.